HOME PAGE > Search Results . . . 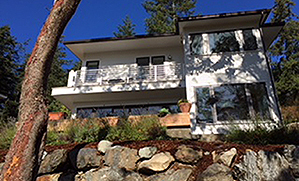 Sunny, lovely and close to town describes this architecturally interesting and modern home. 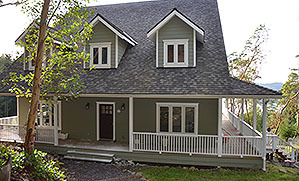 Click here for more information and availability. Rental Calendar Active! 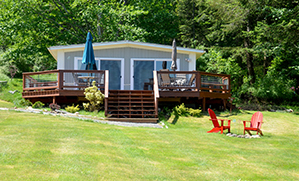 Glorious morning sunshine warms you at this compact and cozy cabin off the beaten path. 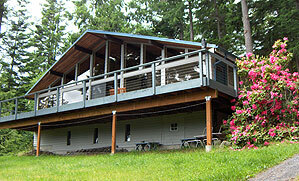 Large, comfortable and convenient to both the beach and Eastsound. 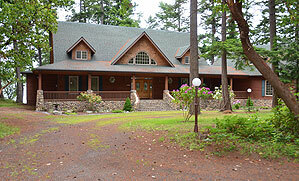 Beautiful log cabin type home with wonderful ocean views and community beach access. 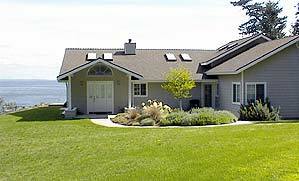 The views down south are fantastic from this Sea Acres vicinity ocean view home. 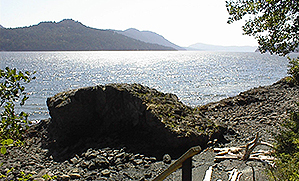 Fantastic ocean views south to Shaw Island, ferry traffic, outer islands and mountains. 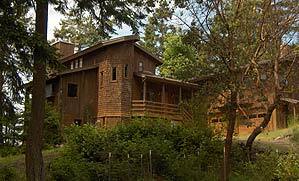 Your vacation will be restful at this large island home with an unusual floor plan offering a master suite with spiral staircase. 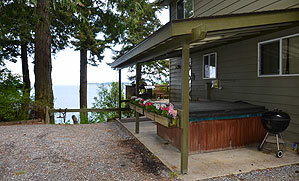 Private waterfront luxury cottage with outdoor hot tub on the beautiful north shore and vast views to Canada, the coastal mountains, ski resorts' lights and islands. 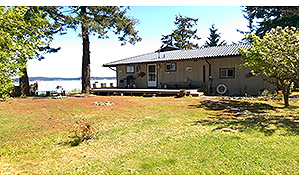 Beautiful, private waterfront with views north and east from this upscale truly northwest house on the east side. 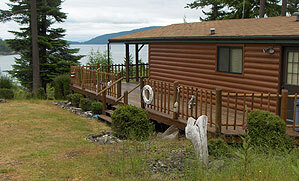 Amenities: Satellite TV, DVD, CD, WIRELESS, Waterfront, Dogs under 40lbs possible with deposit. 2. Lovely Views. Located right outside Eastsound. 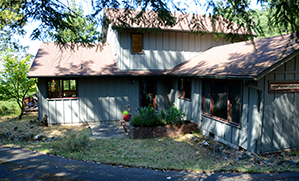 Four bedrooms plus a sleeper couch - perfect for hosting a family gathering. 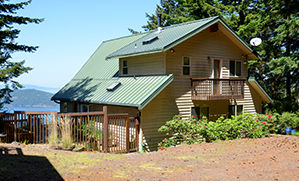 Wide ocean vistas make for great vacation memories at this like new Sea Acres area home. Amenities: Satellite TV, DVD, CD, WIRELESS, Buoy, The waterfront shelter could be in use as a wedding venue. 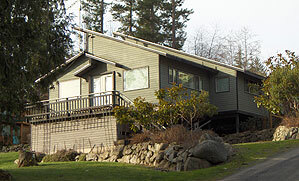 Experience a true pacific northwest home on the waterfront. 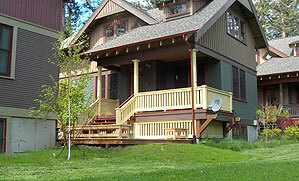 This lovely location is further enhanced with all new furnishings and significant remodeling. Large, modern view home centrally located in Rosario Palisades. Private with wonderful south and west ocean views and quality throughout. 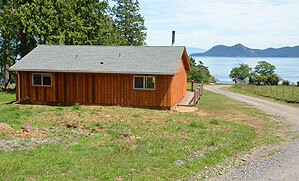 Fantastic ocean views south to Shaw Island, Orcas, ferry traffic, outer islands and mountains. 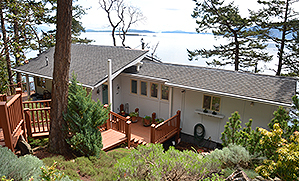 This unique location in Deer Harbor awaits you! 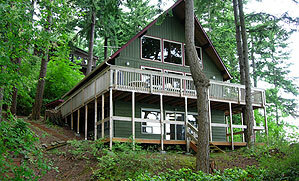 View the bay and slough flowing under the wooden bridge from the many windows in this island cottage. Grand views straight down sound are yours from all the south-facing windows at this large cabin-like retreat in Rosario Estates. 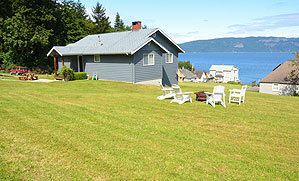 The ocean is at your doorstep at this Buckhorn-area waterfront house. The new and modern design will make your vacation comfortable and memorable. Phenominal waterfront on the northwest side. 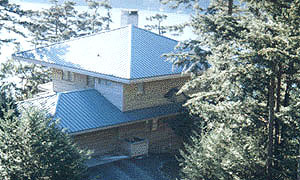 This modern lodge-style home has a super floor plan for your large group.